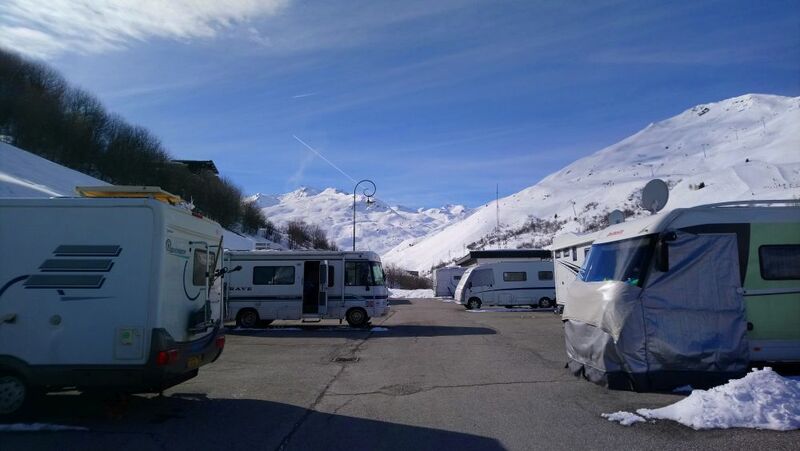 Les Menuires has a dedicated ‘Flot Bleu Park’ providing parking and services for a large number of Motorhomes, a short walk from the lifts. 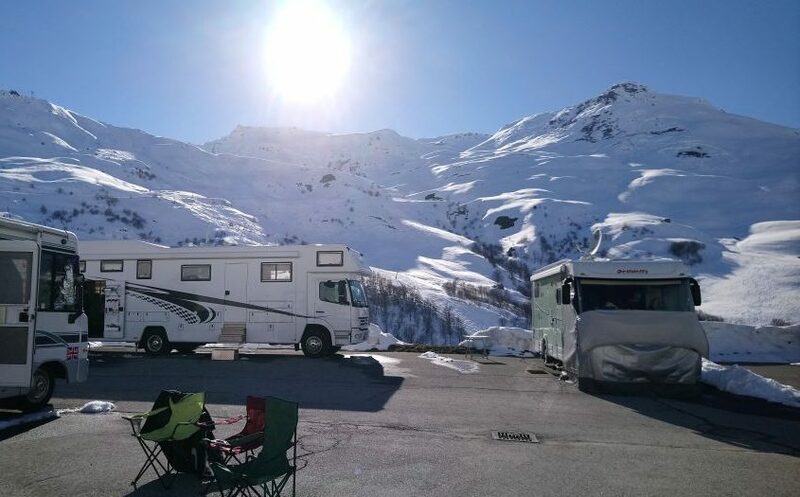 Located at the heart of the 3 valleys ski area it provides massive skiing opportunities with links into the resorts of Val Thorens, Meribel, Courchevel, Brides Les Bains and La Tania. There are 2 flot bleu service areas (one inside the aire and one just outside) and electric hookup posts dotted throughout the aire. 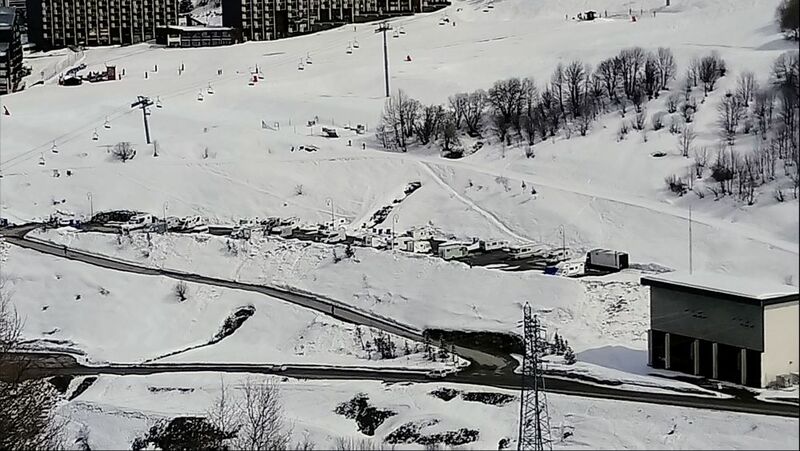 In 2018 the costs were 11 Euros per 24 hours for parking, 2 Euros per 4 hours of electricity and 2 Euros to operate the Flot Blue for 20 minutes. 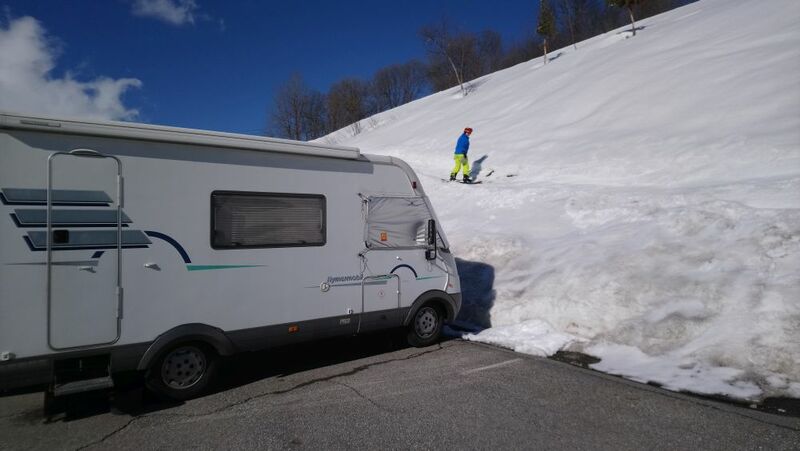 It’s a short walk to the pistes located just above the aire, and here is Muffin proving it is ski-in with a little off-piste traversing!